The Haygoods have their 2019 and 2020 schedule already posted,, Great Show!! Grand Jubilee and all of the shows at Grand Country Music Hall are some of the best in town!!.. Schedule for Parrotville - The Jimmy Buffett Tribute Show - for 2019 was posted on Facebook yesterday. Opens Monday, March 4 at 7:30 and plays every Monday, Wednesday, and Friday at 7:30, with an occasional Saturday and Sunday thrown in. Also scheduled for a New Year’s Eve Show! Last edited by bransoncutie; 12-23-2018 at 06:29 AM. Will Jim Stafford be coming back next year? Yes, as far as I know, Jim will be back. Beach Boys California Dreamin' and Thank You for the Music - a Modern Tribute to ABBA are both returning for another full season at Hamners' Variety Theater! Hope to see some of you there again! Can you pin this post? They now have "The Miracle of Christmas " scheduled for Nov 2 thru Dec 28. Samson runs March 2 thru Oct 12. Coming to a swamp in Branson… The Welk Resort Branson proudly presents everyone’s favorite ogre! 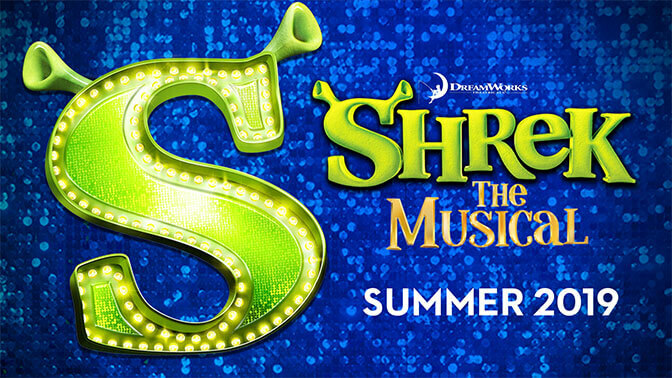 Shrek: The Musical plays June 8 through August 10, 2019 at The Welk Resort Theatre.